In the past nine years, since the beginning of the world economic crisis, Belgrade has seen the construction of residential and commercial facilities worth a total of EUR 5.85 billion, and the biggest value of works was recorded in 2008, as shown by the Statistical Yearbook of the City of Belgrade. According to those data, the total value of the works carried out in 2008 amounted to EUR 931 million. A total of 910 residential buildings with 433,248 square meters and 161 commercial facilities with 337,649 square meters were built. The biggest number of residential facilities was built in 2012 – 7,230 buildings with 721,036 square meters. The Yearbook data show that the biggest number of commercial facilities were built in 2015, 582 of them, but that their total area amounted to 14,019 square meters, by far the smallest area in the period from 2008 till 2016. The value of the works on the construction of commercial and residential facilities had been dropping since 2008, reaching EUR 447 million in 2014, nearly half of what it was when the crisis started. 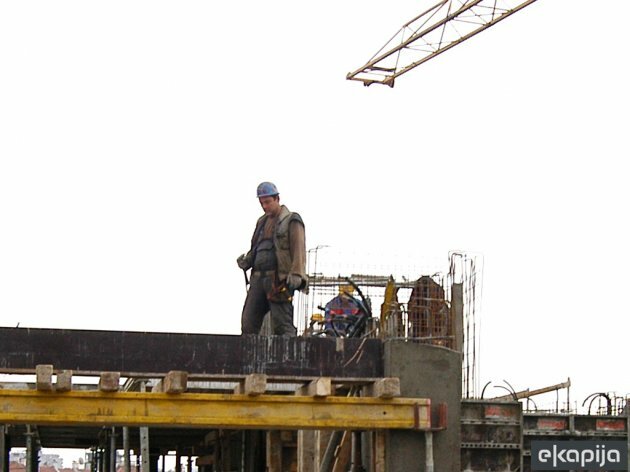 The vice president of the Chamber of Construction Industry in Serbia, Goran Rodic, stated that the world economic crisis in construction had had an impact on Serbia as well, but not as much as in other countries, because, as he pointed out, “Serbia was already experiencing economic problems”. – The construction of apartments is primarily a market category, influenced by supply and demand, by there were state projects in this period which increased the number of apartments in Belgrade – Rodic told Beta. He reminded that the apartments in the capital of Serbia had been built intensively for the 2009 Universiade in New Belgrade and the Dr Ivan Ribar settlement and that the area of the former Stepa Stepanovic barracks had also been turned into a residential neighborhood afterwards. – A similar state-aided housing project for employees in security services has been announced – Rodic said. According to him, there was more apartment-building activity in Belgrade at the beginning of the economic crisis, whereas the construction of commercial facilities became more frequent several years ago.